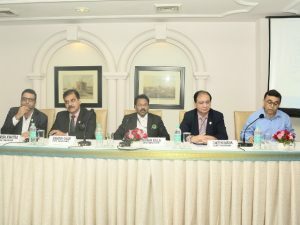 India Tourism Development Corporation (ITDC) hosted Vigilance Study Circle (VSC) NCR meet at The Ashok, New Delhi to discuss various vigilance related issues. The meeting was chaired by Praveen Sinha, Additional Secretary, Central Vigilance Commission (CVC); M R Krishna, President, VSC; Vinayak Garg, Chief Vigilance Officer (CVO), ITDC. Sinha delivered a lecture on vigilance related issues in the meeting. The best practices followed by any of the organisation were also shared for implementation in other organisations. Vigilance Study Circle NCR is a group of CVOs of various organisations or PSUs in NCR, who meet on regular basis and holds meetings on vigilance. 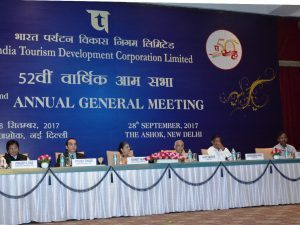 India Tourism Development Corporation (ITDC), conducted its 52nd Annual General Meeting at The Ashok, New Delhi. Chairing the meeting, Ravneet Kaur, IAS, Chairperson & Managing Director, ITDC, announced that corporation closed the year with a turnover of Rs. 495.14 crore during 2016-17. The net profit before tax has been recorded to Rs.17.52 crore during 2016-17. Also, the board declared and approved a dividend of 13.30 per cent amounting to Rs.11.41 crore approximately in the meeting held on May 30, 2017. 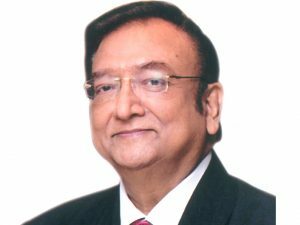 Other Board of Directors present during the meeting included Piyush Tiwari, Director (Commercial & Marketing), Pradip Kumar Das, Director (Finance), government nominee directors and independent directors. The CMD announced that ITDC has shown a significant improvement in the operational efficiency. Overall occupancy during 2016-17 was 58 per cent as against 52 per cent during 2015-16 with flagship Hotel ‘The Ashok’ recording highest turnover of Rs. 152.91 cr during 2016-17. 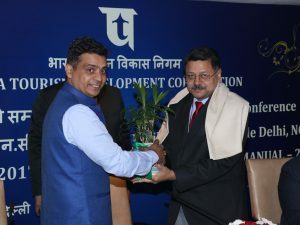 The board said that a big push is being given to connect ITDC with new customers especially with younger generation through print and social media. Steps are being taken to make ITDC website more attractive and user friendly. 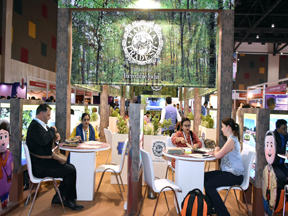 India Tourism Development Corporation (ITDC) has performed remarkably in the first quarter of the current financial year 2017-18. The total turnover in quarter ending June 2017 increased to Rs.109.60 cr as compared to Rs. Rs. 91.42 cr in the corresponding quarter last year. The PSU registered Net Profit Before Tax (PBT) at Rs. 25.19 cr as compared to Rs. 14.30 cr in the corresponding quarter last financial year i.e. 2016-17, which is an increase of 76.15% from last year. The details were announced at the Board of Directors’ meeting of the company held on August 14th, 2017 at The Ashok, New Delhi.